It’s not surprising the lengths stores will go to in order to captivate people’s attention. 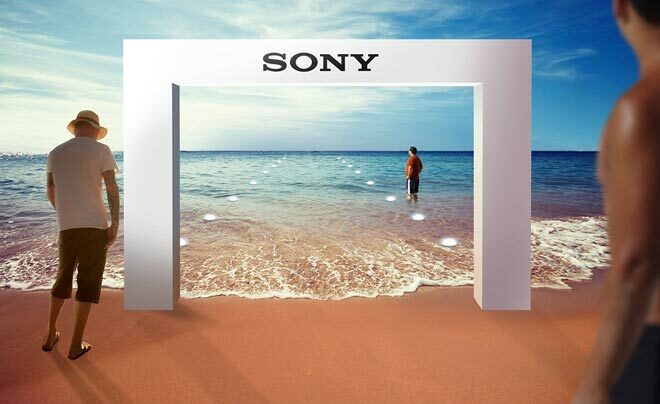 Sony is definitely making sure that all their products will work once everything is in place, but the real question is, since the whole store will be underwater, how do they plan to keep everything in place and keep fish from “stealing” their products? Any company, whether they are a startup or a mature company, has to find a way to get new customers and keep regular customers coming back wanting more. This is the challenge for any business, you have to keep your regular customers happy and intrigue new customers to try out your products/services and buy them. There are many marketing gimmicks that many companies come up with in order to attract attention. Richard Branson is famous for putting on extreme events in order to get the media’s attention thereby driving more customers to his many businesses. All they have to do is look for the Virgin logo and there are his many companies that they can do business with. What Sony plans to do is create a whole new experience out of buying their latest products, in this case, the new Xperia Z1S, waterproof MP3 player, and Xperia tablet. In order to show how resistant these products are to water customers will walk up to the store front on the beach where they will be greeted by divers, they will then be suited up and taken to the store where they can look around and see the product in action. The store will be placed 4 meters (13ft) below the surface, not very far down but enough that you will need breathing support to get there. The promotion and idea are an old concept in marketing, they teach that you want to immerse your customer into the whole experience and the more senses of the human experience you can cover, the better the person will remember the product. When you walk into a Bed, Bath, and Beyond store, the first thing that hits you is the scents in the air. This is a common experience for products that deal with fragrances and in many cases they place aroma machines in the air to spray every so often a scent they are promoting. This appeals to people’s sense of smell and when applied, also touch and feeling. The Sony store provides the physical sensation of being taken to another place that surrounds your whole body with the experience a product can give you. In this case there is no sense of smell (an exception would be the smell of the ocean) or taste but they cover hearing (water sounds), touch (moving from above to below, handling the product, moving through the water, ocean life), and sight (seeing the whole experience, the ocean life, the store itself, the presentation of the products). The more senses you can immerse a customer in the more they will remember their experience and they will connect those experiences with your product and turn them into memories. This is Sony’s first waterproof phone to hit the US. It has a 20.7 megapixel camera, Sony G Lens, a BIONZ engine for image processing, CMOS sensor, and 5-inch full triluminous HD display with X-reality. The phone is Android based making it a perfect fit between Sony and Google users. There are many MP3 players that are on the market but none that can say they are 100% waterproof like Sony’s. Not only are they waterproof but they come packaged in a bottle of water (not sure about drinking the water, so all that water goes to waste (not a very green idea though)) and you can order them from a vending machine as seen in the picture below. These vending machines are found in New Zealand in places like public gyms and pools. The idea comes from the ad agency DraftFCB. They can be purchased for $98. The whole idea will be to showcase their waterproof products because people want things that they can take anywhere they go. If you are an underwater researcher your days of waiting to use a tablet underwater are finally here with the Xperia models. When you are just starting out getting your first customer can be a challenge but once you get them you should spend as much time learning from them about what can be improved and what else they expect when they use your product. People will always test the limits to what your product can offer and if you say your product can do this you better make sure it can otherwise you might find your product on youtube being tested for something it failed to live up to. The new users who take to these water proof products will probably start to find themselves not limited to where they can go (except high temperature places) when using the product (i.e. the shower). By providing divers who will guide customers to their store those customers will come away talking about the experience more than they might talk about the product but if the product lives up to expectations then you will have the power of word-of-mouth marketing taking place when people start posting videos and photos and blog posts of what it was like to be in the first underwater store. Nothing can beat that kind of marketing power so when any new experience you offer customers you have to be aware of how much you can provide them the first time so it is as positive as possible. If you wish to be apart of this amazing experience you can visit the store in Dubai, it opens December 3, 2014. This entry was posted in Business and tagged 1st underwater store, auckland ad agency, create amazing customer experiences, creative marketing promotions, DraftFCB, first underwater store, first Xperia Aquatech Store, marketing around senses, marketing their flagship Xperia models, sony customer experience, sony underwater store, sony waterproof phone, sony waterproof products, under water store, underwater store opens in Dubai, waterproof headphones, waterproof mp3 player, waterproof products, waterproof smartphone, waterproof tablet, xperia waterproof, Xperia waterproof products, Xperia Z1s smartphone, Z3 tablet on October 29, 2014 by Chris.